Very Clean and well Maintained car. No accidents. Good fuel economy and runs very well, handles well on the road. 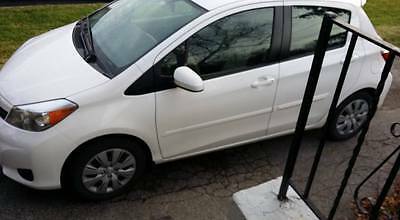 Low mileage for a 2010, used as a second car. Brake-pads replaced recently so responds well. Reliable on the coldest days - quick to start. Oil and filter change, maintenance service records up to date and receipts available to see. Synthetic oil used for life of the car. Purchased in 2010. Body and undercarriage, hood interior in good shape. Few minor scratches and bumper dings (superficial). Carproof 2017 report available. New Michelin winter tires included possibly can include all season in good condition as well. 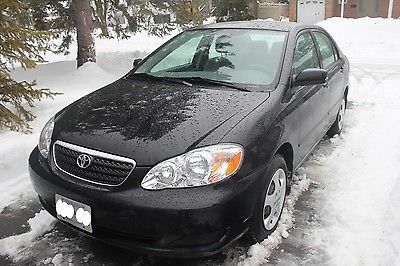 Overall a great car, its our 3rd corolla and if anyone knows these cars, they will know corollas last well when cared for properly. We are selling ours as we bought a larger vehicle. 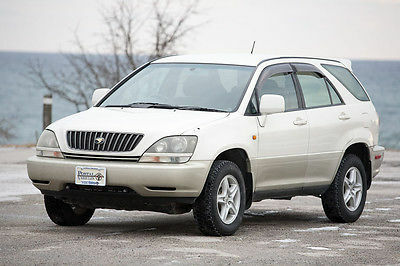 The Toyota Harrier also known as the Lexus RX in North America. This roomy and comfortable vehicle is perfect for most rural area postal delivery routes. This is a right hand drive vehicle (steering wheel is on the Right side, otherwise it's very similar to any other vehicle and for most people it doesn't take much time to adjust to this difference). This Harrier comes equipped with a powerful and reliable 3.0L V6 with an AWD drive-train. Vehicles from Japan, are generally like they've been stored in a time capsule compared to North American vehicles of the same age because of the milder climate. All our vehicles are inspected and serviced by our team to ensure they're operating optimally. Millage is in miles converted from KMs on the dash, which is about 183,000 in Kilometers. Available from $133.23 bi-weekly payments on a 5 year term @ 6.75%APR, tax included with $0 down OAC. (US Customers please inquire!) Plus Insurance fees if applicable. Appraisal is included in the price. Ask about our RSMC buy back guarantee. Price includes all OMVIC and Postal Vehicles (Right Drive Inc.) administration fee`s as well as 100 point mechanical inspection. All mandatory HTA modifications also included (DOT tires, daytime running lights, child safety latch). Available RSMC service plans include: Extended Plan: $899 Includes 40,000 kms of coverage with $1500/claim limit. View plan details. Premium Plan: $1399 Includes 40,000 kms of coverage with $2000/claim limit. View plan details. Shipping: Shipping costs would be dependent on which province or state you are located and can be quoted at the time of sale, alternatively you can pick up the vehicle locally. About RightDrive: RightDrive is a UCDA and OMVIC licensed dealership. We are a full dealership that specializes in sales and service of Japanese Right Hand Drive and other specialty vehicle imports. We have a full service, and parts sales center with skilled mechanics who are experienced working on all types of vehicles from exotic sports cars, to diesel trucks. Our seasoned technical staff and understanding of postal delivery based service requirements puts us in a class of our own. Trusted by Thousands Since inception in 2007, RightDrive has grown to become the most authoritative source and largest provider of quality right hand drive vehicles in North America. To date we have provided vehicles, parts and service to thousands of satisfied customers. Wide Range of Right Hand Drive Vehicles We offer a wide selection of right hand drive and left hand drive imports from around the globe. With a team in Canada, Japan and the United States, we cover more area than any other importer in the country, no exceptions. To view our complete inventory Click Here And/or Checkout our other ebay items ---> Feel free to contact us if you have any questions. 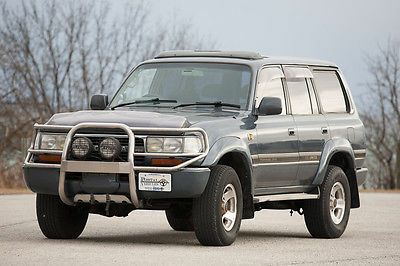 The Land Cruiser is a tough, powerful Four Wheel Drive vehicle, equipped with a 4.2L straight six turbo diesel engine. The Land Cruisers reliability and durability, even in the harshest conditions has lead to it being very successful and becoming Toyota's longest running series Its tough and truck like for the harshest routes yet provides a comfortable drive, with lots of cargo space in the rear. This one comes equipped with many features including: Brush Bar with fog lights An Electronic Winch Selectable differential lock and other drive-train and suspension settings. 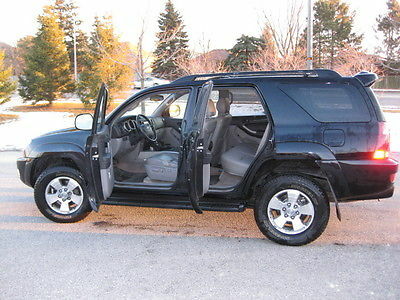 Turbo pressure gauge Cruise Control CD/Mp3 player A/C Power Windows, Locks, and Mirrors. Mileage is in Miles converted from the original odometer reading of 245,300KM Comes Certified and e-Tested for Canadian Customers. Also eligible for export to the USA very shortly in June. 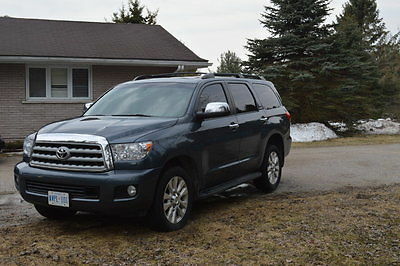 For Canadian buyers (US customers please inquire) this vehicle is available with $0 financing (on approved credit) for $225.56 bi-weekly payments on a 5 year term @ 6.75%APR, tax included OAC. Plus Insurance fees if applicable. Appraisal is included in the price. Ask about our RSMC buy back guarantee. We also accept all types of Trade-Ins. Price includes all OMVIC and Postal Vehicles (Right Drive Inc.) administration fee`s as well as 100 point mechanical inspection. All mandatory HTA modifications also included (DOT tires, daytime running lights, child safety latch). For Canadian Buyers: RSMC service plans are available at extra cost. Extended Plan: $899 Includes 40,000 kms of coverage with $1500/claim limit. View plan details. Premium Plan: $1399 Includes 40,000 kms of coverage with $2000/claim limit. View plan details. Shipping: Shipping costs would be dependent on which province or state you are located and can be quoted at the time of sale, alternatively you can pick up the vehicle locally. About RightDrive: RightDrive is a UCDA and OMVIC licensed dealership. We are a full dealership that specializes in sales and service of Japanese Right Hand Drive and other specialty vehicle imports. We have a full service, and parts sales center with skilled mechanics who are experienced working on all types of vehicles from exotic sports cars, to diesel trucks. Our seasoned technical staff and understanding of postal delivery based service requirements puts us in a class of our own. Trusted by Thousands Since inception in 2007, RightDrive has grown to become the most authoritative source and largest provider of quality right hand drive vehicles in North America. To date we have provided vehicles, parts and service to thousands of satisfied customers. Wide Range of Right Hand Drive Vehicles We offer a wide selection of right hand drive and left hand drive imports from around the globe. With a team in Canada, Japan and the United States, we cover more area than any other importer in the country, no exceptions. To view our complete inventory Click Here And/or Checkout our other ebay items ---> Feel free to contact us if you have any questions. 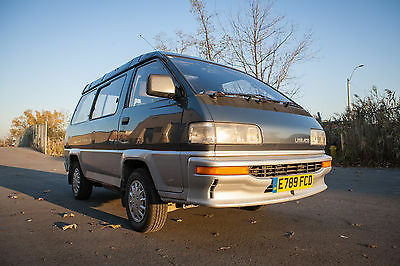 The Toyota Liteace is a roomy, spacious, highly-functional minivan. The prominent SkyLite roof creates an increased brightness within the interior. These vehicles are rarely seen in North America! It’s equipped with an automatic transmission and a reliable and efficient turbo diesel engine. This one comes equipped with dual zone climate controls. JBL speakers, a rear spoiler, and backup mirror to prevent backing into obstacles. The rear seats can be folded down for extra cargo space or to make an makeshift bed. A very unique and versatile vehicle! Applicable for Canadian Customers: Comes Safety Certified and Emissions Tested! $0 Down Financing Available on approved credit. If local: Trade-ins also accepted. Millage is in miles converted from KMs on the dash. 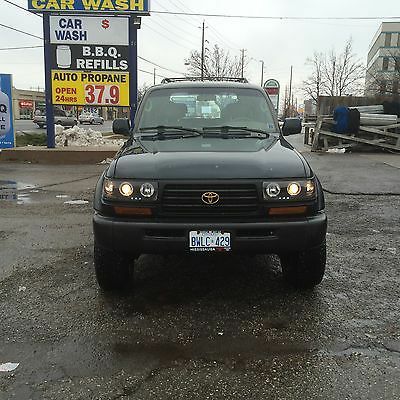 The vehicle has approximately 205,000KM Normal 0 false false false EN-US X-NONE X-NONE MicrosoftInternetExplorer4 Price includes appraisal (if applicable) all OMVIC and Right Drive administration fee`s as well as 100 point mechanical inspection. All mandatory HTA modifications also included (DOT tires, daytime running lights). Shipping: Shipping costs would be dependent on which state or province you are located and can be quoted at the time of sale, alternatively you can pick up the vehicle locally. About RightDrive: RightDrive is a UCDA and OMVIC licensed dealership. We are a full dealership that specializes in sales and service of Japanese Right Hand Drive and other specialty vehicle imports. We have a full service, and parts sales center with skilled mechanics who are experienced working on all types of vehicles from exotic sports cars, to diesel trucks. Our seasoned technical staff and understanding of postal delivery based service requirements puts us in a class of our own. Trusted by Thousands Since inception in 2007, RightDrive has grown to become the most authoritative source and largest provider of quality right hand drive vehicles in North America. To date we have provided vehicles, parts and service to thousands of satisfied customers. Wide Range of Right Hand Drive Vehicles We offer a wide selection of right hand drive and left hand drive imports from around the globe. With a team in Canada, Japan and the United States, we cover more area than any other importer in the country, no exceptions. To view our complete inventory Click Here And/or Checkout our other ebay items ---> Feel free to contact us if you have any questions. 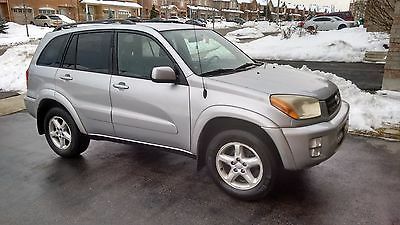 2003 RAV4, Silver, Automatic. LOW KMS 160k, 4WD. Well maintained and excellent working condition. One family owned (ownership change within family members). Recently E-tested. Carproof available. As is. 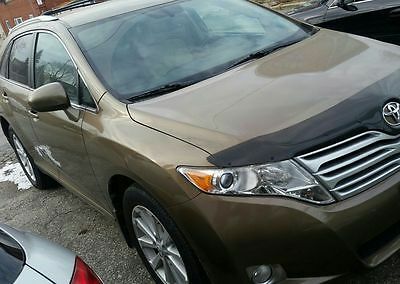 Dealer rust protection applied when purchased. Body side mouldings, Roof rack and crossbars, Power doors/windows, A/C, Keyless entry, alloy wheels, wheel locks etc. Mostly dealer maintained. Buyer is responsible for vehicle pickup. Hi. 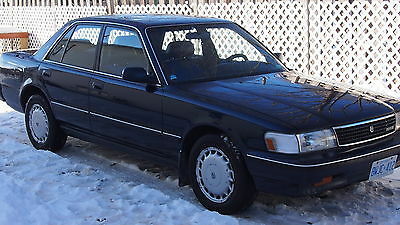 For sail a nice used TOYOTA CRESSIDA,MADE IN JAPAN. The car is in good running condition(260.00 Km or approx 155.00 MILES).Solid front end,good breaks,exhaust system and fresh oil change.Power everything(locks,windows,mirrors,sunroof,seats,even motorized ventilation pannel,cruise,digital dash,leather and more).Please check the pictures. The driver side front fender has rust(best to be replaced) and some other areas with minor rust. Also a hole under the spare tire (on driver side rear)and driver side headlight has discolouration. EngineO.K.-( newer timing belt,head gasket,valve job,belts,water pump and radiatorabbout 15.000 miles ago).Battery 2015.Very clean in and out. Toyo tires.Front low on tread,rear like new.LOCKING DIFFERENTIAL(both wheels pull in the same time).Drives and runs like a dream. Better than lexus. Better insulation and smooth acceleration. Automatic transmission with overdrive(normal and power mode with O/D switch mode). 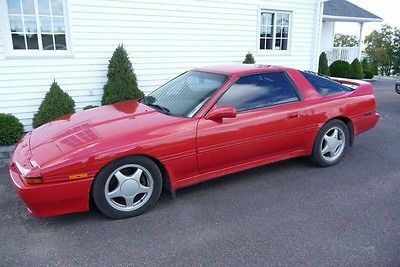 Pretty much a LUXURY SUPRA... Pick-up only in WINDSOR,ONTARIO,CANADA. 10 minutes from DETROIT. No problem with IMPORT(had digital dashing MILES or KM with the push of the button).U.S and CANADA standards.Please call me for details(1-519-250-7308).If no answer please leave a message and your contact number and i will call you back.Thanks. 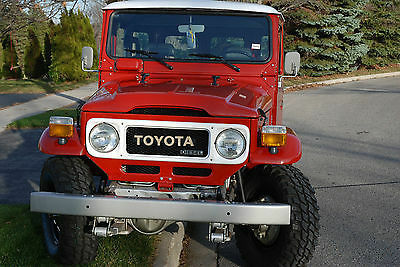 1997 Land Cruiser imported from North Carolina. Very rare badged collector edition. Why spend $1 a liter on gas when propane is 37 cents? See main picture taken on January 9, 2016 at the propane station in Etobicoke. Rust free, original paint and rustproofed twice a year. Spent $43,000 in the past 3 years; I have all receipts. Same examples: -runs on both propane and gas. Converted in August 2015 at PHD Group in Mississauga - $4,500 -3 inch Old Man Emu lift with 2 inch spacers - Sep 2015 - $$3,700 -new heavy duty brakes all around - Oct 2015 - $1,900 Seven seater. 187,000 miles only. There are still lost of them around in the States with more the half a million miles... Trades accepted - Mercedes diesel RV only. Please don't contact me with any other trades. On 11-Jan-16 at 18:04:04 EST, seller added the following information: To answer one of the questions: I don't think it will need any repairs for years. Anything that needed fixing was done already...including some parts that were changed just in case, as we were planning to travel all the way to South America and back... To answer another question: the initial travelling plan was to install a roof top tent; however we decided that an enclosed RV style body would be safer in some places! TRUCK IS 9 OUT OF 10. ONE LADY OWNER, NO LONGER NEED KIDS GROWN UP ALREADY. BEEN IN GARAGE FOR LAST 4 YEARS. 61,000 MILES AND TOYOTA MAINTAINED. 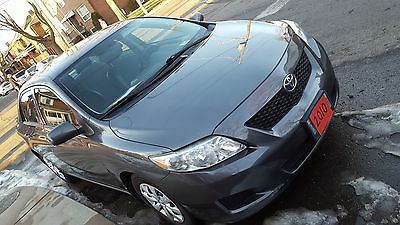 2008 Toyota Corolla in excellent condition. One owner. Low mileage at 64,000km.No issues, no accidents. Oil changes on time. Kept in garage during winter. Comes with all-season and winter tires. 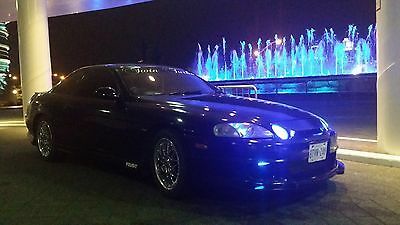 1991 Toyota Soarer 1JZ-GTE Twin Turbo RHD ( Right Hand Drive ) Extremely Rare Car 150,000 km or 93,000 miles2.5L l6 5 Speed Manual R154 Transmission(same as Toyota Supra MK3/MK4 Engine and Drivetrain) 5 seater Upgrades:-Monster tachometer -Blitz Turbo timer-Blitz Turbo Blow off Valve-4 inch Dual exhaust JZZ30 glass Packs - -High flow muffler-Clutch and fluid-Cross drilled slotted rotors -Ceramic brakes and calipers -Rear Differential-Rear Coil springs and shocks-1100 cranking amp battery-Forza Air Cleaner-Iridium NGK Spark Plugs -Coil Packs, -AC piping system-Windshield & new wipers front & back-Window regulators-Trunk and hood shocks -Glass Fog light housings -Black tinted windows-Nardi Steering wheel-Custom Shift Boot -HID 12000k headlights -Brilliant Blue LED Fog Lights and custom blue accent lights interior and exterior , -4 piece Bodykit-New Altezza clear chrome tail lights-limited slip differential -Shocks & Struts-All fluids been changed with Synthetic-Enkei Agies true 3 piece Chrome Rims with good rubber Staggered 17" front & 18" rearNew full size spare tireAppraisal Paperwork Fun and fast car turns heads everywhere..car comes with extra spare JDM parts. Soarer is now 25yr classic right hand drive NHSTA Exempt to the USA no paperwork needed to take from Canada to the USCar is located in Windsor Ontario Canada next to the Detroit Michigan tunnelBuyer is responsible for pick up or shipping. Car is in very good condition. Car is rarely being used and taking up space as I have another vehicle. There is few issues with the car that I know of. The car has a small exhaust leak (flex pipe) and a tear in the driver seat. The trunk doesn't open from the inside. Never had a chance to get it fixed I am not the original owner of this car but can update this information once I get it The previous owner had the car lowered on Bilstein and Eibach springs.